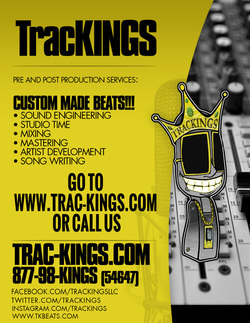 TracKings LLC. also offer consulting services and business start-up services for new recording artists. Many artists aspire for a music career but need advice on the music industry and basic business information. Our consulting sessions help new artists gain insight and understanding as they begin their recording career.